InternetNZ has welcomed a move by ICT Minister Amy Adams to top up the six-year, $300 million Rural Broadband Initiative (RBI) with $100 million more in contestable funding if National is re-elected. Ms Adams has also promised $50 million to boost mobile phone coverage in remote areas. The policy would be funded by extending the Telecommunications Development Levy, currently due to expire in 2016, for another three years. The Levy (successor to the old Kiwi Share Levy that used to go straight into Telecom’s pocket) extracts $50 million a year from telecommunications companies, proportionate to their revenue (see Commerce Commission table right). As the law stands, the levy will reduce to $10 million a year after 2016. Funds from the levy go toward the RBI build, which is being carried out by contract winners Vodafone (building new cell towers fixed wireless broadband leg) and Chorus (fibre). Unlike the $1.35 billion the Crown is investing in various companies involved in the urban Ultrafast Broadband (UFB) rollout, the $300 million for the RBI (which includes both money from the levy and $48 million direct from the taxpayer) does not have to be paid back, and Chorus and Vodafone get to operate RBI infrastructure on a commercial basis (with the proviso they give all retailers equal access). The fact the new funding is contestable is a blow for Chorus, which had been feeding off rumours that National will put more money toward public-private broadband. And it’s definitely a knock for Spark, which as our largest telco has been levied close to $20 million a year. If the industry tax is extended another three years, that’s an extra $60 million or so it will have to pay the Crown. [UPDATE: it is], but Ms Adams did have specific ideas about where it should be spent. “State Highway 6, which runs along a significant proportion of the West Coast, would be a top candidate for this fund. So would State Highway 73, the main route between Christchurch and the West Coast. Both are major tourist routes and improvements to mobile coverage would be welcome,” the ICT Minister said in a statement. 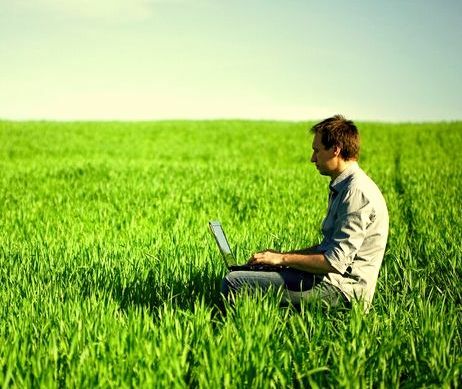 InternetNZ CEO Jordan Carter said anything that helps our incredibly important rural sector get better connectivity will go some way towards building a better New Zealand through a better Internet. “Already we have seen Labour release a comprehensive ICT policy and now National is proposing some ambitious ideas. “The idea of a contestable fund is great. It will allow communities to develop plans that really match their needs, rather than Wellington making all the decisions. Improving Internet accessibility is a core tenet of InternetNZ’s and so anything that goes towards making New Zealand a 100% connected country receives our support,” Mr Carter said. The InternetNZ boss cautioned, “While $100 million would be a substantial investment, it would not likely be sufficient to provide all of rural New Zealand with high quality, high speed connectivity.